The Philippine government and the Japan International Cooperation Agency (JICA), Japan’s international aid agency, have signed a $934.75-million loan agreement to finance the construction of the first phase of the Metro Manila Subway Project, the Department of Finance (DOF) announced last week. The loan is equivalent to Php48.6 billion at current exchange rates. 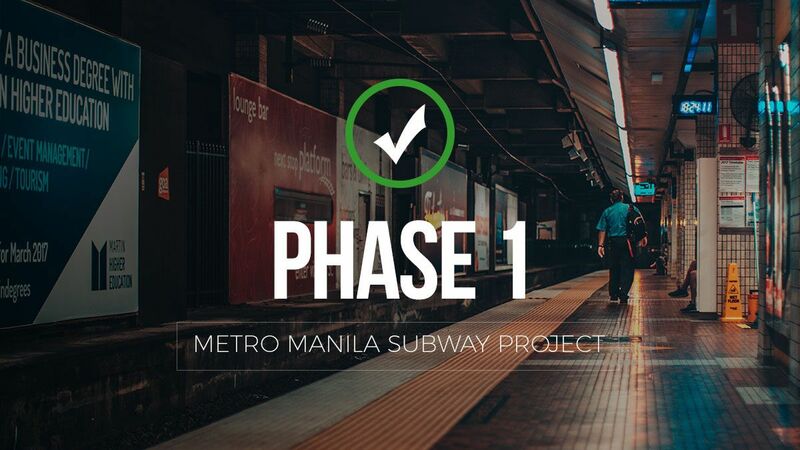 The subway project will run from Mindanao Avenue in Quezon City to the Food Terminal Inc. (FTI) complex in Taguig City, and continue to the Ninoy Aquno International Airport (NAIA). Stretching through 30 kilometers with 14 stations, it is the country’s first underground railway project. Under the agreement, the loan will only carry a 0.10-percent annual interest rate for non-consulting services, which include civil works, depot, railroad, electromechanical works and power supply. On the other hand, non-consulting services will only carry a 0.01-percent per annum interest rate. The first tranche is payable in 40 years with a 12-year grace period. Finance Secretary Carlos Dominguez said the generous terms of the Japanese loan helped make the subway project viable. “With the generous support of Japan and the fiscal space we enjoy thanks to the tax reform program—also called TRAIN—what was once considered a dream has now become a reality,” Dominguez said during the agreement signing of the two countries on Friday. Dominguez said the first three stations of the subway system—Mindanao Avenue-Quirino Highway, Tandang Sora and North Avenue—are targeted to be opened by 2022. The rest of the subway is set to be completed by 2025. Interest rates on concessional or soft loans from Japan are generally much lower than those from other countries. However, the loan terms also require borrowing countries to buy goods and services from Japanese companies, and these tend to be more expensive compared to others. Borrowing countries also have to contend with the possibility of the appreciation of the yen, the Japanese currency, which raises the cost of repaying the loans in local currency terms. According to the DOF, the total project will cost $7.1 billion (Php369.2 billion) to build. Around 73 percent will be funded by JICA through a loan arrangement that will cover three to four tranches while the rest of the budget will be covered by the Philippine government. The project is part of the NEDA-JICA Roadmap for Transport Infrastructure Development of Metro Manila and its Surrounding Areas, an integrated plan meant to improve the transportation system of the country’s most populated cities. The plan involves a series of infrastructure projects all over Mega Manila, which is meant to alleviate the worsening traffic congestion in the area. In February, JICA reported the country loses Php3.5 billion per day due to lost opportunities caused by traffic.